We launched a new ad format for our Link Tracker early this month. The intention was to make the ads ‘louder’, so as to improve on the clickthrough rate. To our surprise, we didn’t see any significant improvement in the clickthrough after 2 weeks of running. On the flip side, we have received feedback from members saying they don’t like the ‘loud’ ads. 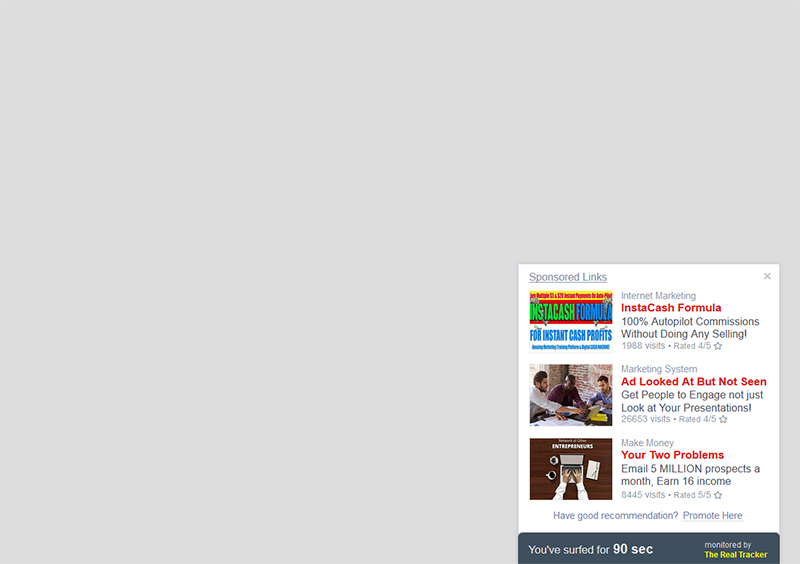 The ads are taking the attention away from their main link. Since the new ad format doesn’t have much positive benefits, we are reverting back to the old but improved ‘subtle’ format. The ads will not be shown immediately. They will appear some time later, and you can decide when. We’ve tested this new format for 3 days now. The clickthrough rate is comparable to the older formats, yet it is less obtrusive and more customizable. Anyway, I’m happy with this latest format now. I hope you are happy with with it too. Don’t be too hard on yourself, Kenneth… It’s good to try tweaking things now and again – it’s how we learn what works and what doesn’t. I’ve watched Leadsleap improve in leaps and bounds over the years and many of your innovations are awesome. Thanks for keeping things fresh! Thanks for re-instating the ability to position the tab left or right, that is awesome! The other changes to the monetize option with the timer I think will work well for our tracked links, however the sidebar/footer method I think still works well for surfing ads for credits. It was certainly worth trying something new, but the proof of the pudding is always in the tasting as to what works best, so kudos for trying to help us get better results. Thanks. :) I can appreciate what you are doing now that I am being more active. Thank you,it’s better to try new things to get better result. I love innovations that contribute to more visits. It suits me this new way of surfing. I sent you one question by suport, so please let me know.